7 line illus. 15 tables. Is management a profession? Should it be? Can it be? This major work of social and intellectual history reveals how such questions have driven business education and shaped American management and society for more than a century. The book is also a call for reform. Rakesh Khurana shows that university-based business schools were founded to train a professional class of managers in the mold of doctors and lawyers but have effectively retreated from that goal, leaving a gaping moral hole at the center of business education and perhaps in management itself. Khurana begins in the late nineteenth century, when members of an emerging managerial elite, seeking social status to match the wealth and power they had accrued, began working with major universities to establish graduate business education programs paralleling those for medicine and law. Constituting business as a profession, however, required codifying the knowledge relevant for practitioners and developing enforceable standards of conduct. Khurana, drawing on a rich set of archival material from business schools, foundations, and academic associations, traces how business educators confronted these challenges with varying strategies during the Progressive era and the Depression, the postwar boom years, and recent decades of freewheeling capitalism. Today, Khurana argues, business schools have largely capitulated in the battle for professionalism and have become merely purveyors of a product, the MBA, with students treated as consumers. Professional and moral ideals that once animated and inspired business schools have been conquered by a perspective that managers are merely agents of shareholders, beholden only to the cause of share profits. According to Khurana, we should not thus be surprised at the rise of corporate malfeasance. The time has come, he concludes, to rejuvenate intellectually and morally the training of our future business leaders. 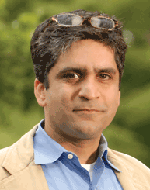 Rakesh Khurana is associate professor in organizational behavior at Harvard Business School. He is the author of Searching for a Corporate Savior: The Irrational Quest for Charismatic CEOs (Princeton).